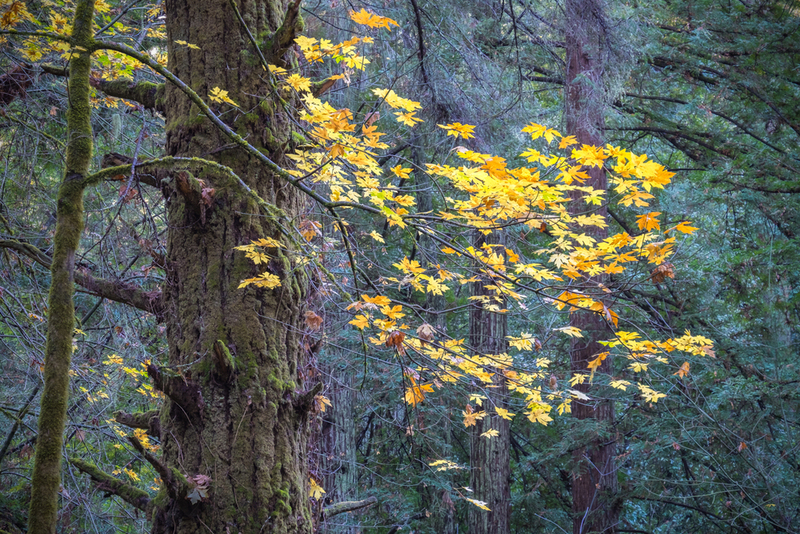 They say (whoever they are) we don't have much in the way of fall colors around here in Santa Cruz County. OK, it's not like October in Vermont, but we do have some nice displays of color. One of my favorite places is the Forest of Nisene Marks State Park in Aptos- less than 2 miles from my house. In the past couple weeks there has been a showering display of mostly yellow Maples. Although they are bit past peak, there is still time to check them out. It's a great place for a hike or bike ride. Enjoy the slide show! Comments are welcome.